Fort Wayne, Indiana – An Indiana trademark attorney for Edible Arrangements, LLC (“EA”) and Edible Arrangements International, LLC (“EAI”) of Wallingford, Connecticut filed an intellectual property complaint in the Northern District of Indiana alleging trademark and copyright infringement by Tom Drummond and Edible Creations, LLC (“EC”) of Allen County, Indiana. Defendants are accused of infringing several trademarks (below), which have been issued by the U.S. Trademark Office, as well as a copyrighted work. Since 1998, EAI has been using the phrase “Edible Arrangements,” together with various related design marks, in connection with various food products. Its products include fruit cut to look like flowers as well as other fruit products. EAI operates a franchise network of over 1,200 independent owner-operated franchise locations throughout the United States and internationally. It sublicenses the trademarks at issue in this Indiana litigation to its franchisees. In this lawsuit, Defendants have been accused of continuing to advertise, promote and sell fruit arrangements in Indiana using the phrase “Edible Creations” and “Edible Creations Creator of Edible Floral Arrangements.” They have also been accused of violating EA’s copyright in a sculpture known as the “Hearts and Berries Fruit Design” by displaying the copyrighted design in print, including on vehicles, and on the internet. Plaintiffs seek damages, including punitive damages, as well as injunctive relief. Allegations of trademark dilution involve a different analysis from claims of trademark infringement. The first type of trademark dilution is dilution by blurring. An allegation of dilution by blurring requires that the plaintiff prove, among other things, that its mark is “famous.” This is not an easy burden, requiring that the mark have “extensive public recognition and renown” within the population of average consumers. There are some marks, such as Chanel, Coke and Microsoft, for which establishing such renown is likely achievable. However, this bar is extremely high. Even trademarks that are very well known, such as Coach, which has been used since 1961 and under which several billion dollars of sales are made annually, have been found to be “not famous” for the purposes of a dilution analysis. Edible Arrangements will have a difficult time proving this claim. The second type of trademark dilution is dilution by tarnishment. 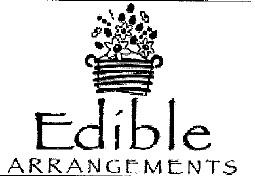 Edible Arrangements will also have a difficult time establishing the elements of this type of trademark dilution. This cause of action is generally brought when the reputation of a well-known mark is harmed by another’s use of that trademark or a similar mark within a sexual context. For example, in Kraft Foods Holdings, Inc. v. Helm, 205 F. Supp. 2d 942, 949-50 (N.D. Ill. 2002), the court held that the use of the term “VelVeeda” by a pornographic website tarnished the trademark held by the makers of Velveeta cheese. Courts may also find dilution by tarnishment where a defendant offers inferior products or services. It is unclear that Plaintiffs here have alleged facts sufficient to support a claim of tarnishment. The suit was filed by Thomas A. Herr of Barrett & McNagny, LLP. The case was assigned to Judge Robert L. Miller, Jr. and Magistrate Judge Roger B. Cosbey in the Northern District of Indiana and assigned Case No. 1:14-cv-00315-RLM-RBC.